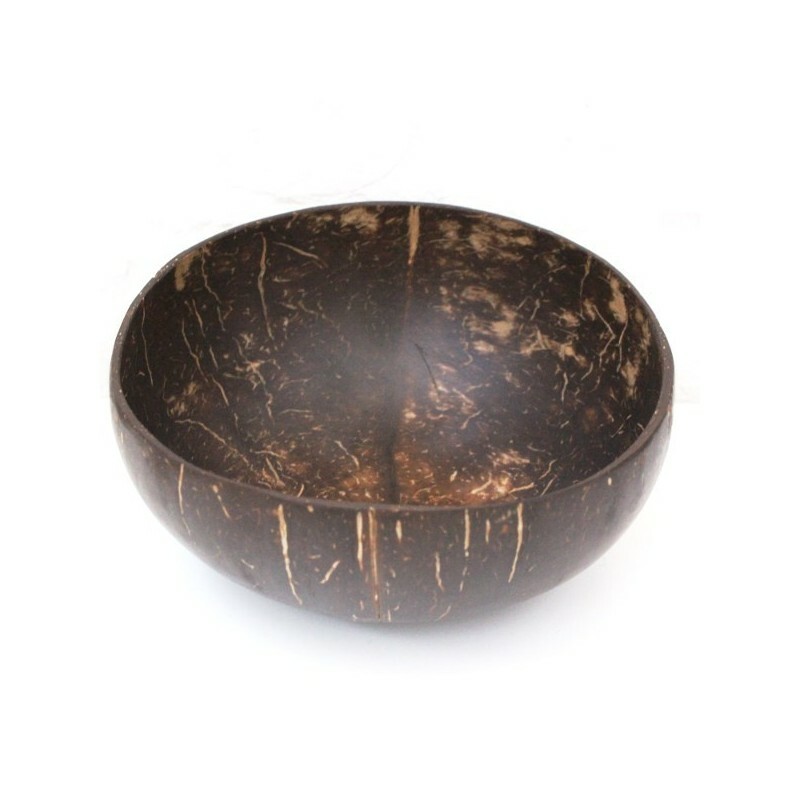 A handmade fair trade coconut bowl made from reclaimed coconut shells. Smooth inside and out, they are cut, cleaned and sanded, before being finished with an organic virgin coconut oil polish. 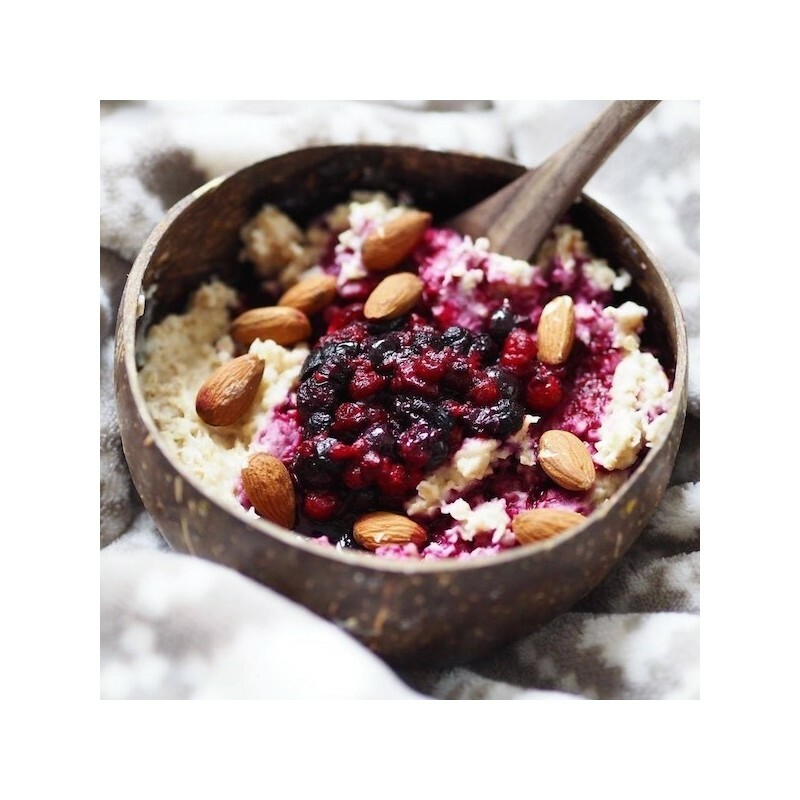 Great for serving food like smoothie bowls, salads and snacks. 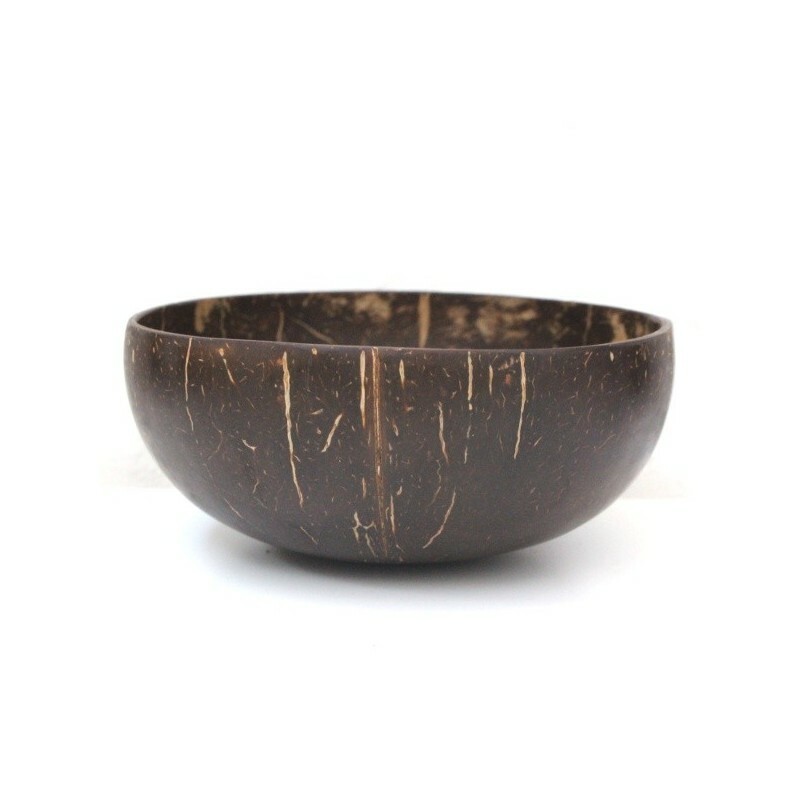 Made from reclaimed shells after being discarded as waste from the coconut oil industry which would otherwise be burned releasing emissions into the atmosphere. Best suited to cool and room temperature foods. For warmer foods to ensure durability, prepare your bowl for the change in temperature by first rinsing your bowl in lukewarm water and sit aside until dry. Do not use refridgerator, microwave or oven. 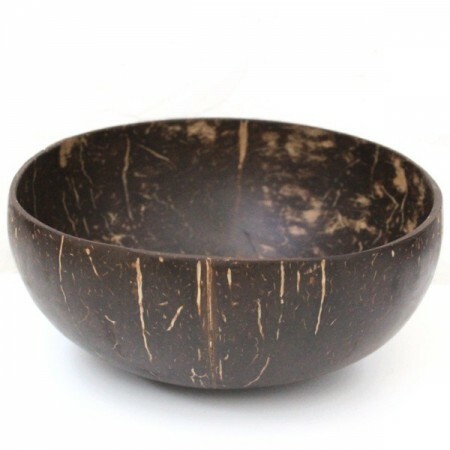 Each bowl is unique in size, just like a coconut. Average diameter 12-14cm, depth 6cm and volume 500ml - 600ml. 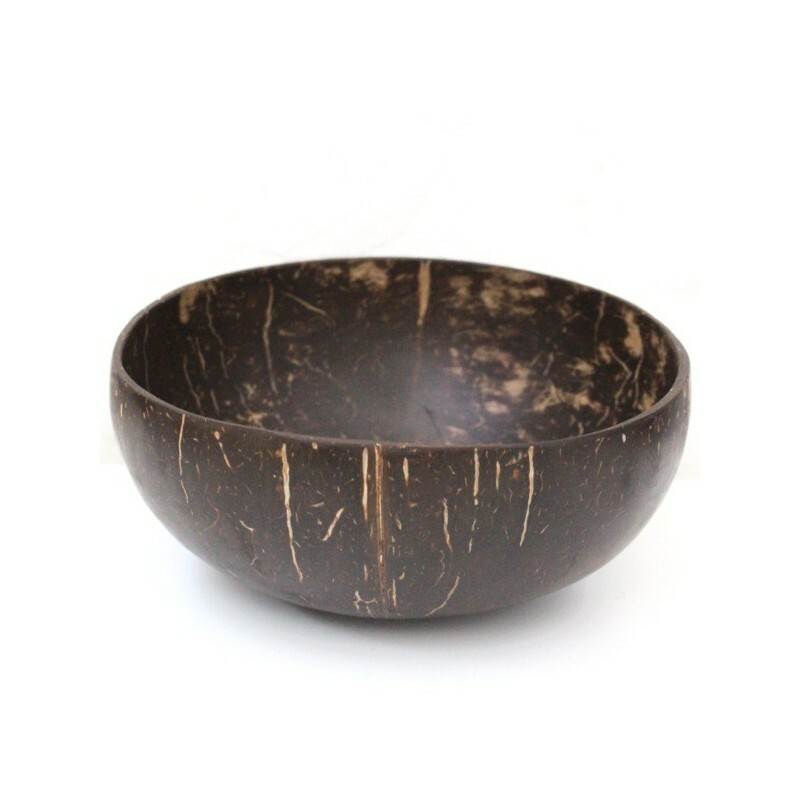 Love the idea of utilising reclaimed coconut shells. 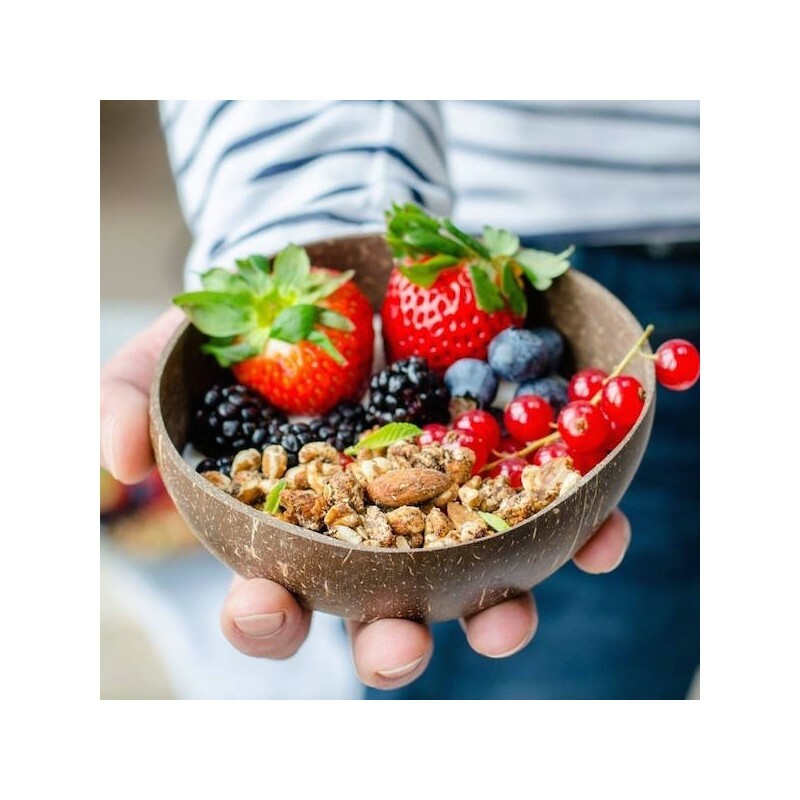 Perfect for snacks, salads and even for use as BYO bowl for acai bowls.